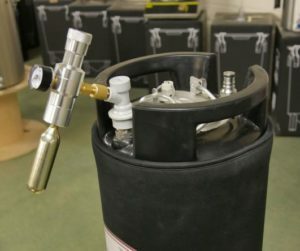 This is the New improved version of the Mini Co2 Regulator Charger. 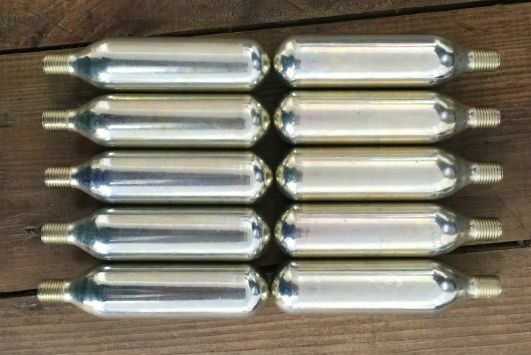 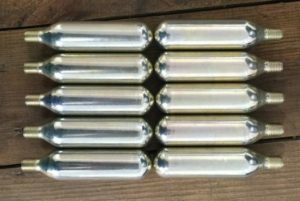 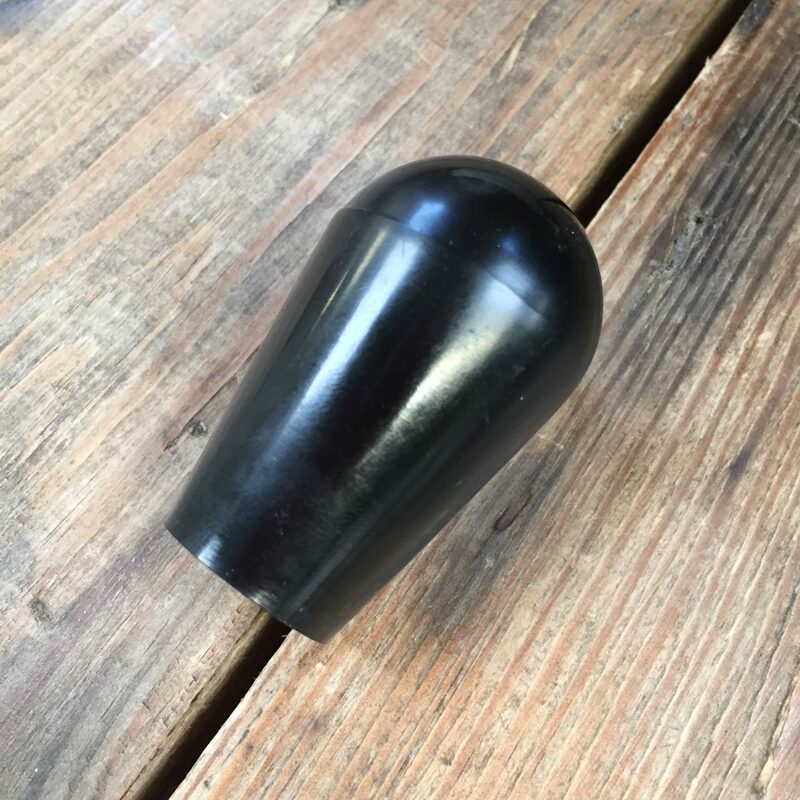 Threaded 16g Co2 bulbs used for our Mini CO2 Regulator and our Growler dispenser. 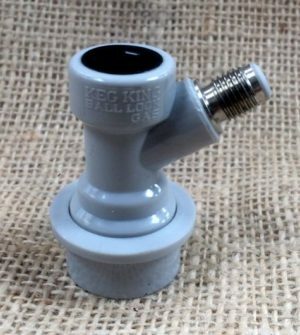 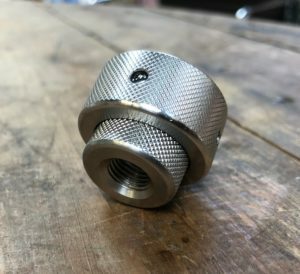 Grey, gas in disconnect Quality product that will last. 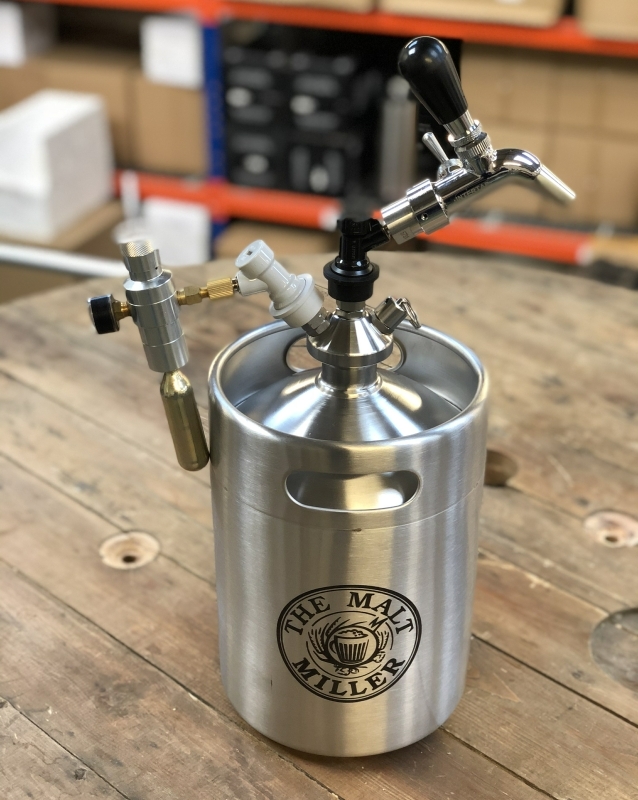 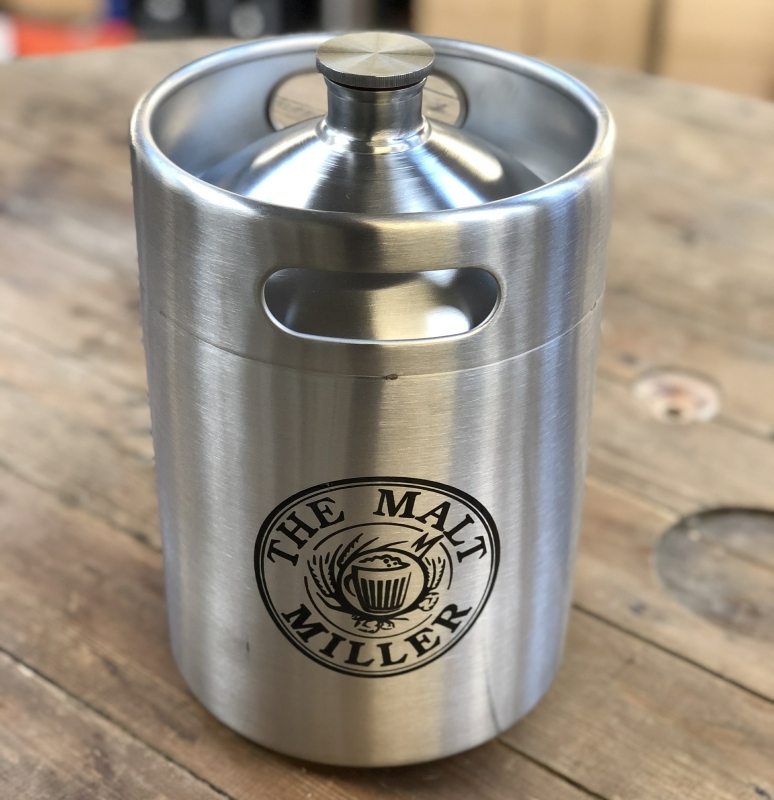 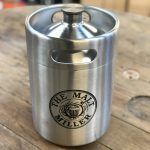 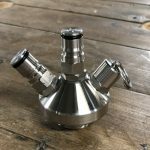 This is the stainless steel 5 litre mini keg with the dispense cap, mini regulator, both required disconnects and the tap shank adapter. 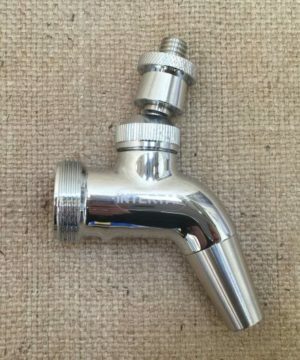 The only item required for dispense is your choice of tap which can be selected below. Choose flow control for anything other than cask conditioned type carbonation. 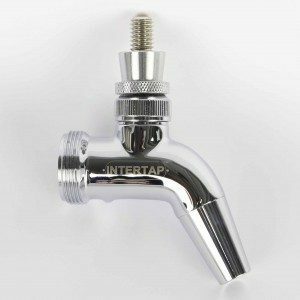 Picture shows with the Intertap flow control model (tap not included). 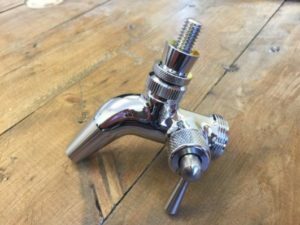 I have been using this exact set up over Christmas with the flow control tap to dispense a Rauchbier. 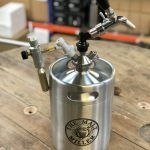 Carbonated with a large CO2 bottle then use the mini reg to top up. The flow control makes pouring a perfect pint a breeze.